12,81 € 12.81 tax incl. Ideal for your carburettors, a thorough maintenance, great cleaning ... 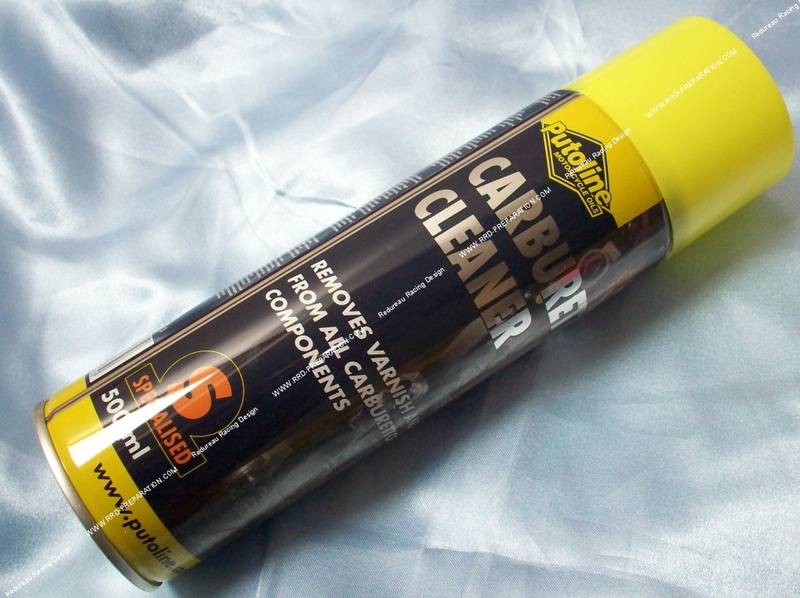 Here is the PUTOLINE CARBURETTOR CLEANER spray cleaning spray in a 500ml bottle, as well as what to do with many applications! Specially designed and formulated for carburation, it cleans while respecting joints, plastics, abs ... it is a non-corrosive product. Use inside and outside of your carburetor without any problems thanks to its easy-to-use diffuser. An excellent product that will eliminate any deposit, to make your carburetion new!